As a lawyer, it's John Friske's day job to protect people from environmental pollution. 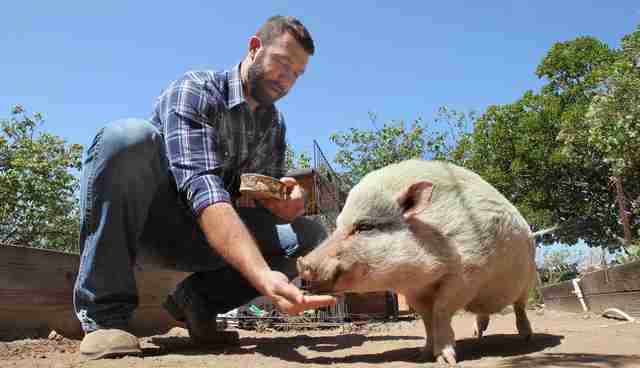 But in his spare time, he founded San Diego Farm Animal Rescue, an animal sanctuary at his very own home. It began when he watched "Cowspiracy," a documentary that reveals not only the environmental impacts of the meat industry, but also its effects on individual animals. In only a year, he's welcomed eight animals of four species to his sanctuary, and now he's preparing for the grand opening of the sanctuary's educational program later this month. 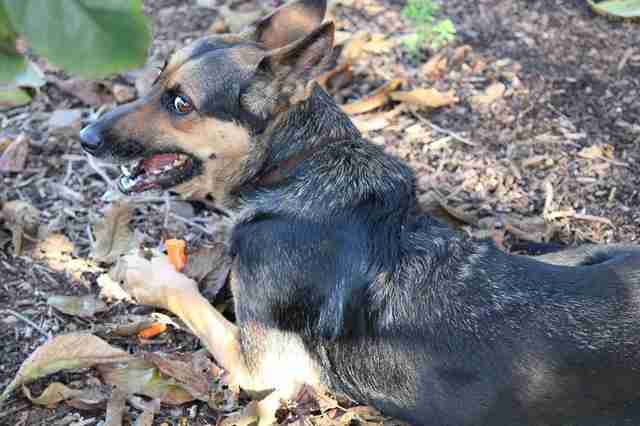 His first adoption was a rescue dog from Southern California German Shepherd Rescue. Friske named her Daisy. Next was an American quarter horse named Emma. "She came to me because her family couldn't ride her anymore," Friske told The Dodo. "People aren't really in the market for a 26-year-old horse, so, instead of going to slaughter, her owners wanted a good home to put her in." 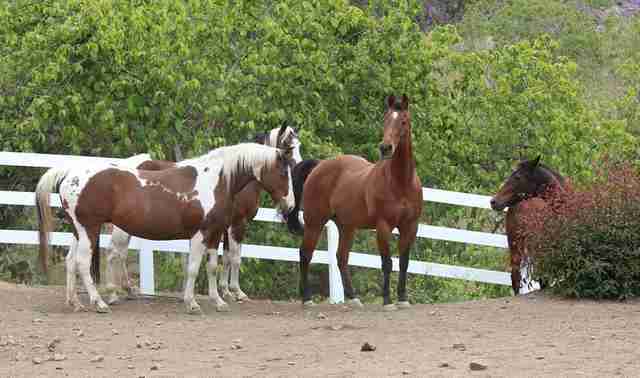 Emma's arrival was soon followed by two American paint horses who had known each other their entire lives. While they stuck together, Emma kept to herself - until a familiar face showed up. 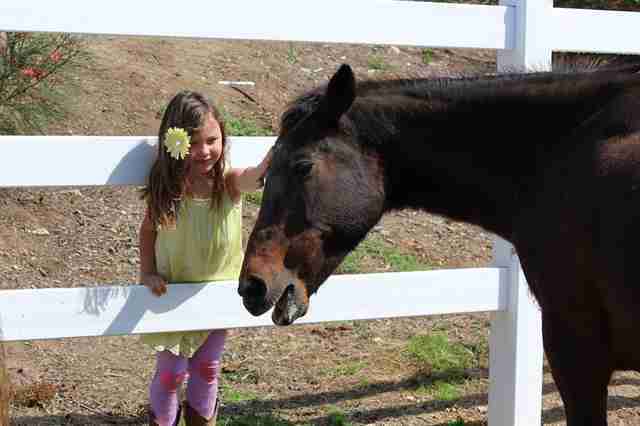 Pokey, another American quarter horse, and Emma used to belong to the same couple. 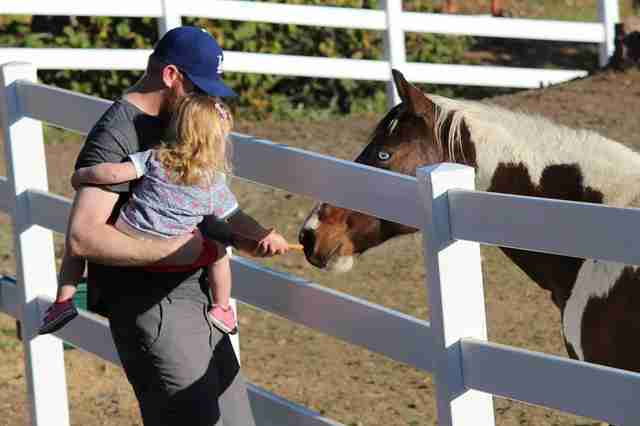 When they decided to sell Emma to another family, she was kept at the same ranch but separated from Pokey by a fence, so the two horses couldn't interact much anymore. Pokey's family decided to give him up and turned him over to Friske - who reunited him with Emma and placed the two in an open pasture where they could finally be together as much as they wanted. "Once Pokey came, they had their boyfriend-girlfriend relationship back," Friske said. "Now he protects her, and she's the first one to eat." "If she wants to get the best shade spot, she'll get the best shade spot, because Pokey stands guard and makes sure that she's taken care of," he added. In addition to the horses, there's Roosevelt, the pig with a limp due to his deformed hooves, named after President Franklin D. Roosevelt. More recently, Friske built a chicken coop for two hens, Eleanor and Amelia. For Fiske, understanding the common ground between humans and animals is an essential part of the philosophy behind his work. "We believe the connection between animals and humans reveals the true nature of both, and the distinctions among species are blurred as humans discover their capacity for compassion," the sanctuary's mission statement reads. Fiske already has plans for local community groups and children's programs to come and experience a place where the animals are treated with respect. By bringing children up close to farm animals, he said, he hopes to inspire compassion toward animals in generations to come. 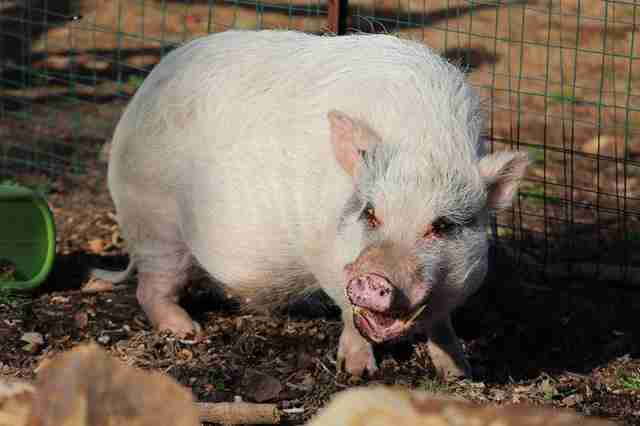 To learn more about Friske and the animals on his farm, follow San Diego Farm Animal Rescue on Facebook. Check out another reunion between two horses who went without seeing each other for four years.